ATEN introduced a new addition to the Modular Matrix Switch Series, the VM3200. The VM3200 32 x 32 Modular Matrix switch offers real-time control and advanced access to manage up to 32 video sources and 32 displays simultaneously through modular I/O boards in a single chassis. Empowered by ATEN Seamless Switch technology, the video matrix switch, incorporating a speed-progressive video switching function and a unique scaler, integrates with video wall systems to project live video in any dimension on a perfect timeline. The ATEN VM3200 Modular Matrix Switch provides a built-in scaler that unifies various video input signals and renders optimum output resolutions on displays without delays or signal loss for uncompromised precision and switch technology that controls and changes content in real time. Additionally, the Matrix Switch utilizes tot-pluggable I/O Boards and device parts, which allow video sources of any interface type to be routed independently to target displays of any interface, and real-time preview and advanced scheduling features, while provide live streams of connected video channels and image previews of video wall layouts via web GUI. 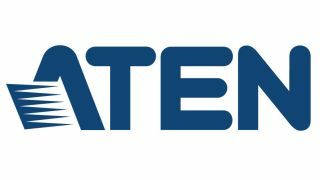 In addition, the calendar-based scheduling also provides connection profiles synchronized with real-time clock.“To provide the best solutions to the market, ATEN keeps pushing our limits to make more connection possibilities happen," said Kevin Chen, President of ATEN International. "The VM3200 offers the latest technology in an all-in-one solution that is perfectly suitable for any modern, large-scale A/V environment."